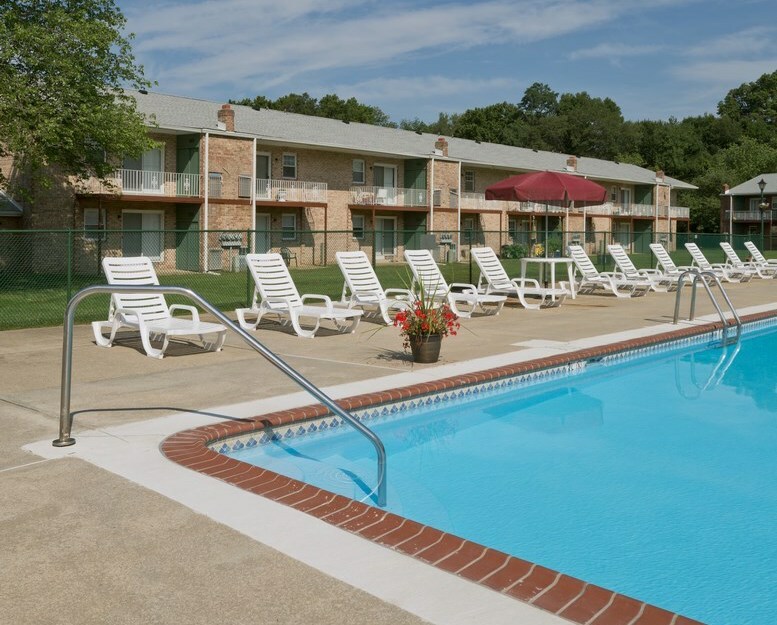 Have you been dreaming of an apartment with a pool in Maple Shade, NJ? We all lead hectic lives—with work, school, family and other obligations often putting free time at a premium. That’s what makes the opportunity to actually kick back and get a little rest and relaxation so enjoyable, and there’s no better way to recharge your batteries than by spending a summer day at a pool—toes in the water, book in hand and Vitamin D flowing! Heading out on an expensive vacation for some poolside downtime isn’t always feasible—but what if you could have all of that R&R right in your backyard? Pickwick’s apartments with a pool in Maple Shade, NJ, provide just that. The large outdoor pool offers ample space for plenty of residents to splish, spash, and float alongside one another while still enjoying their own downtime. Whether you’re looking to get some exercise to burn off a little stress, soak up some rays on the lounge chairs or spend some quality time teaching the little ones how to swim (or maybe all three! ), residents of Pickwick Apartments can do all of that just steps from home. Outdoor recreation is emphasized throughout the property, which also includes picnic benches, a playground and beautifully landscaped lawns. The picturesque, park-like setting—complete with ample open space—provides plenty of opportunities for residents to catch up with family, friends and neighbors, all while enjoying the sunshine. If you’re looking for apartments with a pool in Maple Shade, NJ, you likely are searching for a community that offers all-around amenities focused on comfort. Pickwick’s spacious apartments, private balconies and patios, and storage units are all designed to help residents feel right at home and make daily living a little bit easier. Residents can enjoy the added bonus of Pickwick’s convenient location—near lots of local shopping, dining, entertainment and public transportation—but, with its beautiful on-site amenities, it will be hard to leave the property! Schedule your tour of our Maple Shade apartments today.